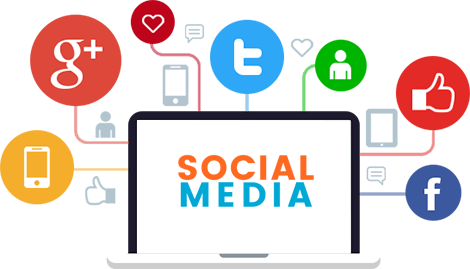 SMM is the popular emerging trend to grab more customer’s attention to your website through social networking sites. These sites allow you to have direct interaction with your customers and get to know their reviews about your products and services. Nothing’s better way to get acquainted with your customers expectations. Today, it is crucial for every business to socialize their business in different media channels. It’s more ‘social business’ now. At GlassMedia, we assist firms in setting up a productive social media marketing campaign that gets you results. Major search engines such as Twitter, Facebook etc, have presented new online marketing frontiers. With real people and real conversations, there cannot be a bigger platform to advertise your products. This realm has become a niche in itself and its no longer a sub-niche under SEO. The right webmasters know how to harness the true power of social sites in order to drive highly targeted traffic most likely to convert into sales. It is vital that you craft and create a strategy that works comprehensively and delivers the message with the right impact to your user base. GlassMedia create powerful campaign that is unique to your business and industry. Is Your Brand Active on Social Networks? The social media channels are the newest channels acting as your brand’s voice. They provide an open platform for both the brands and customers to get to know each other. Customers can easily access the products/services and brands can make relevant changes. The most significant benefit of social media marketing is that it delivers higher conversion rates. Social media channels add the humanizing element to the brands by making them interact social media channels. Without social media, your brand will be only familiar among – people already acquainted of your brand or the customers searching for the keywords you are raking for. Powerful social media profiles you add leads to a significant path back to your site. Along with that the piece of content you serve at these profiles is the potential opportunity for a new visitor. SEO is undoubtedly the best way to generate more traffic and customer leads. But, it involves various aspects that keep on changing every now. Professionals emphasis on optimized meta descriptions, revamping of blogs, getting quality backlinks, but these things aren’t enough to get higher rankings. Our services allow you get valuable information about your customers’ interest and what are their reviews over your products or services. You can monitor their comments and direct your business accordingly. Try generating unique content on different topics and figure out what kind of content getting more appreciation – then segment that kind of content more. Let Conversations Spark a Sales Revival?